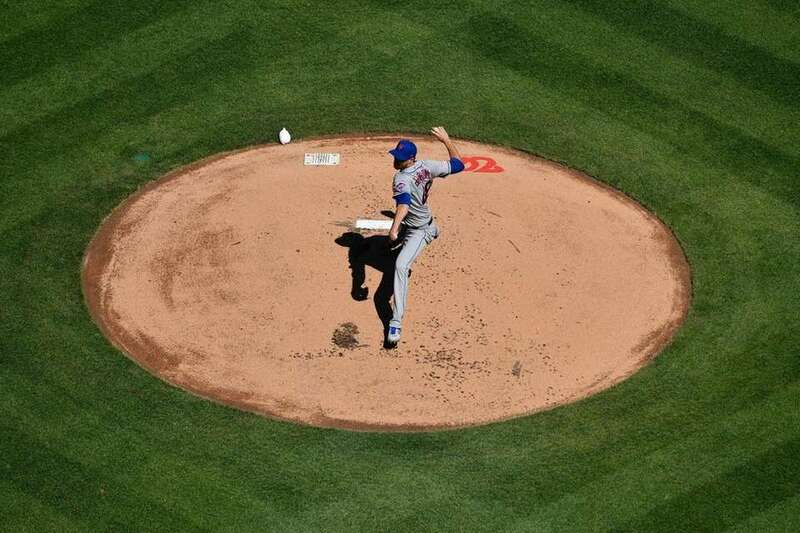 The Mets defeated the Washington Nationals, 2-0, on Opening Day for the 2019 season on Thursday at Nationals Park in Washington. 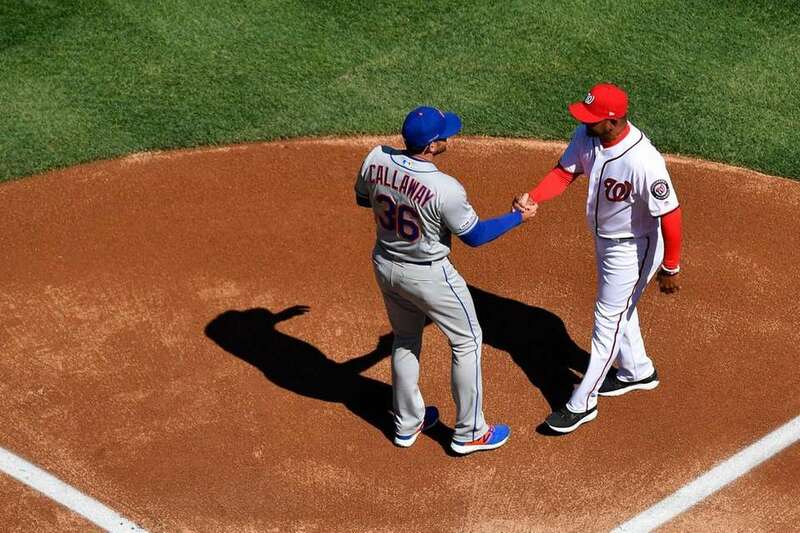 Manager Mickey Callaway #36 of the Mets and Manager Dave Martinez #4 of the Washington Nationals shake hands during player introductions on Opening Day at Nationals Park on March 28, 2019 in Washington, DC. 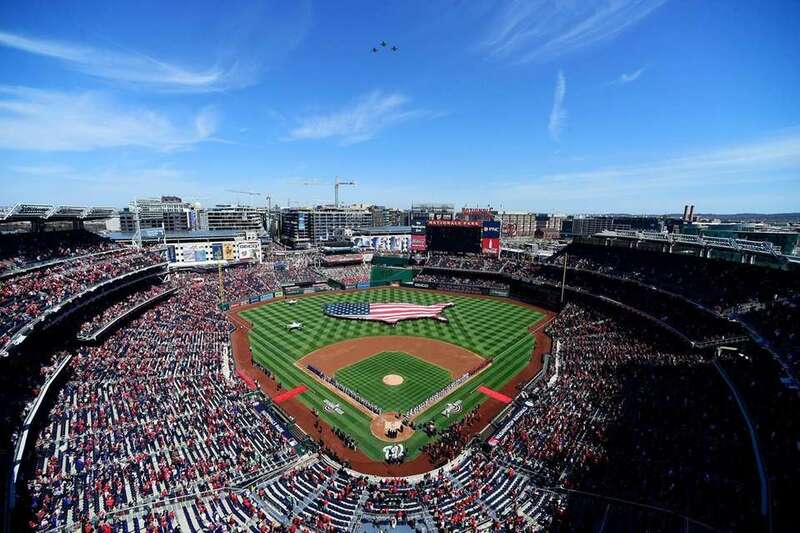 A general view as members of the Mets and Washington Nationals line the baselines as they listen to the playing of the national anthem on Opening Day at Nationals Park on March 28, 2019 in Washington, DC. 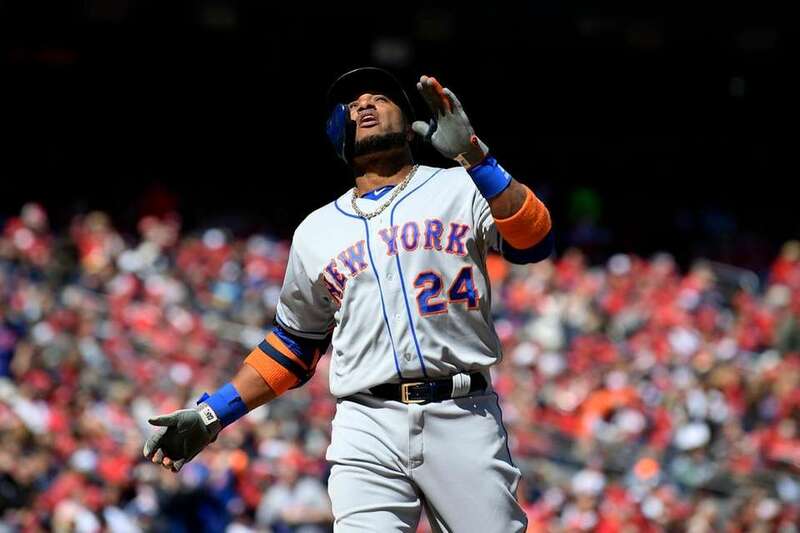 Mets' Robinson Cano celebrates his home run during the first inning against the Washington Nationals, Thursday, March 28, 2019, in Washington. 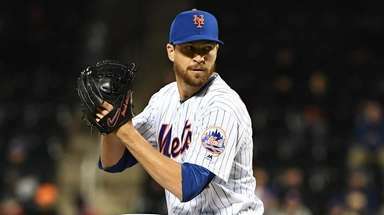 Mets pitcher Jacob deGrom delivers during the first inning against the Washington Nationals, Thursday, March 28, 2019, in Washington. 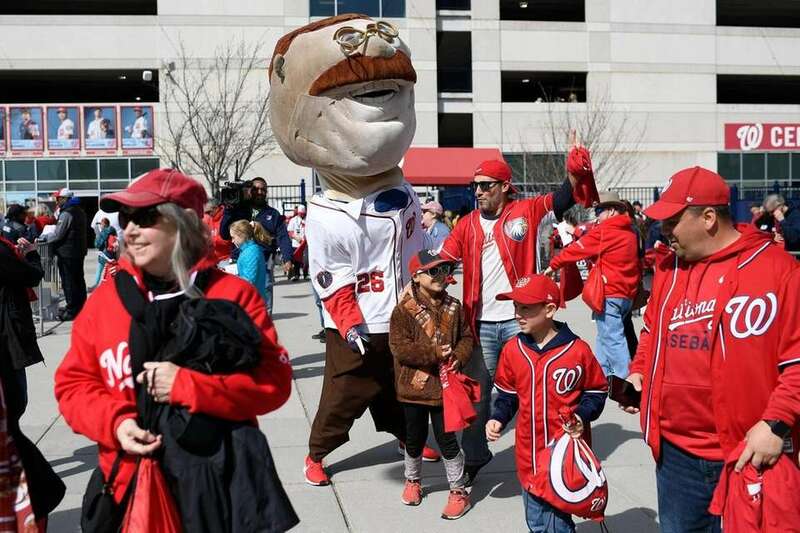 Teddy, one of the racing presidents, greets fans at the gates before a baseball game between the Washington Nationals and the New York Mets, Thursday, March 28, 2019, in Washington. 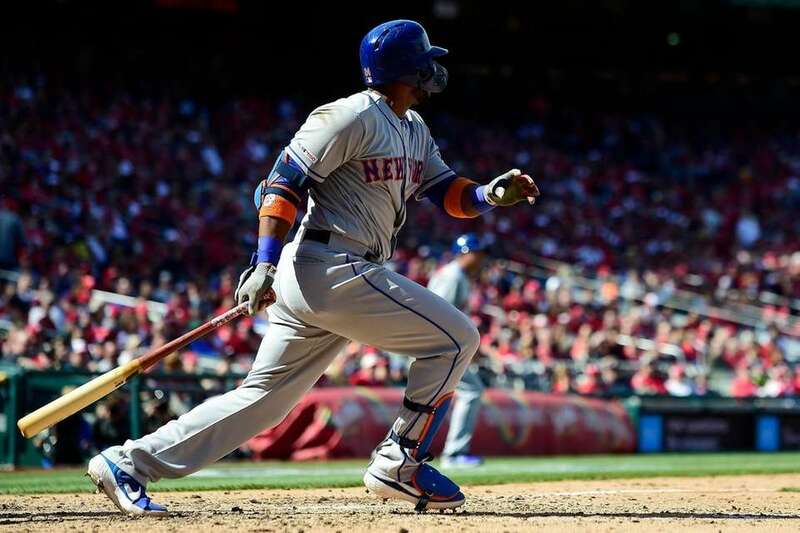 Mets second baseman Robinson Cano (R) hits a solo home run off Washington Nationals starting pitcher Max Scherzer as Washington Nationals catcher Yan Gomes (L) and umpire Bill Miller (C) look on in the first inning of the MLB baseball game between the Washington Nationals and the New York Mets at Nationals Park in Washington, DC, USA, 28 March 2019. 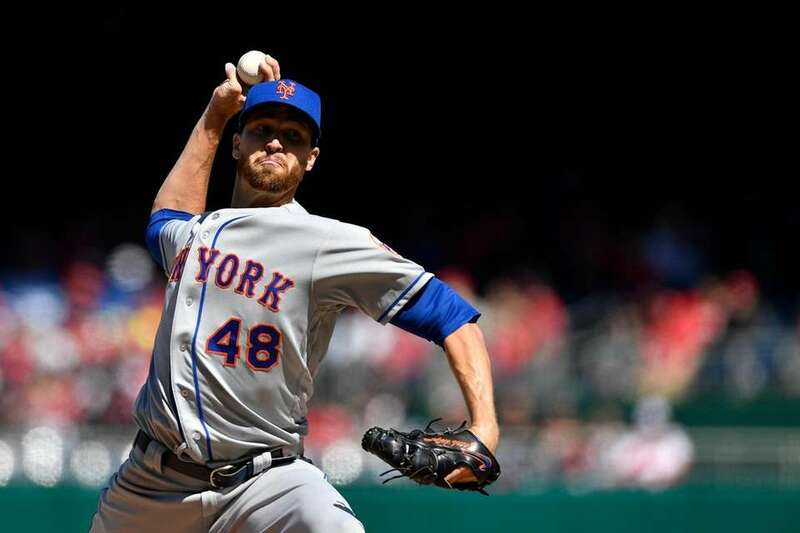 Jacob deGrom #48 of the Mets pitches in the first inning against the Washington Nationals on Opening Day at Nationals Park on March 28, 2019 in Washington, DC. 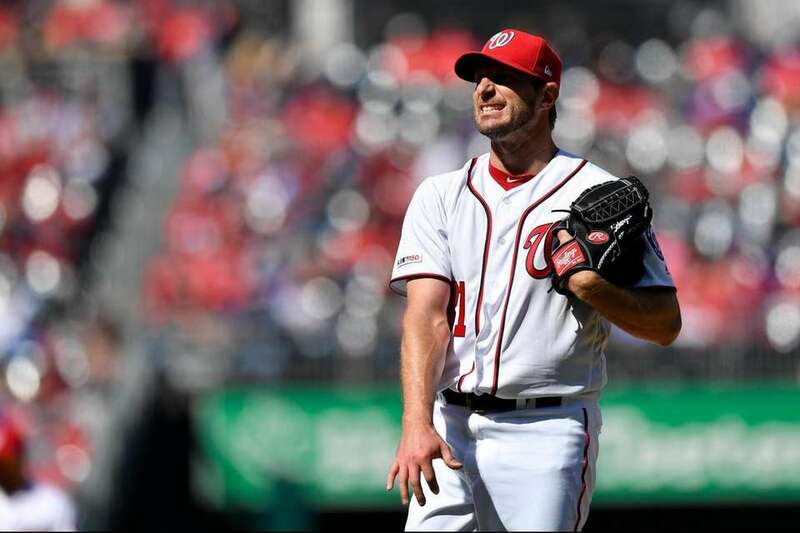 Max Scherzer #31 of the Washington Nationals reacts in the eighth inning against the New York Mets on Opening Day at Nationals Park on March 28, 2019 in Washington, DC. 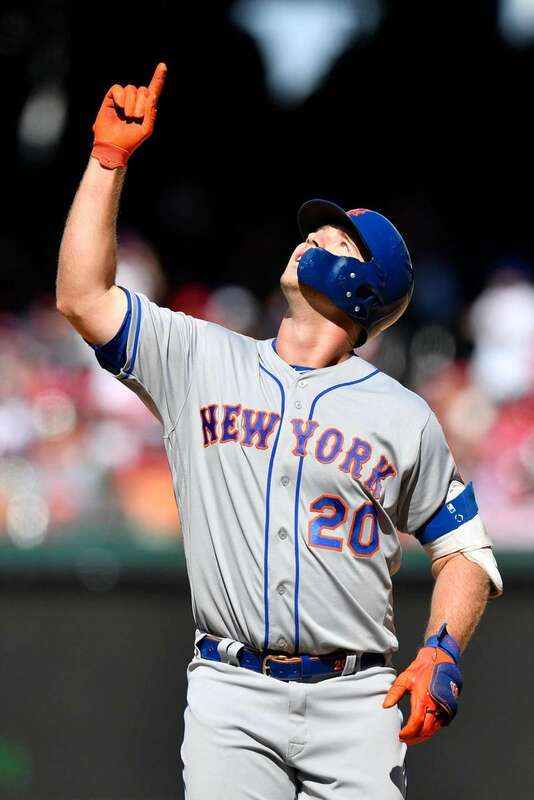 Pete Alonso #20 of the New York Mets reacts after hitting a single for his first MLB hit in the eighth inning against the Washington Nationals on Opening Day at Nationals Park on March 28, 2019 in Washington, DC. 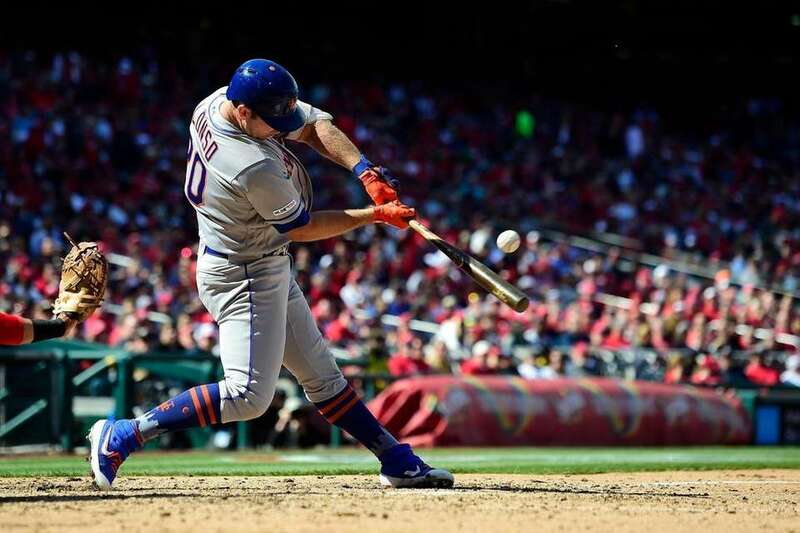 Pete Alonso #20 of the New York Mets hits a single for his first MLB hit in the eighth inning against the Washington Nationals on Opening Day at Nationals Park on March 28, 2019 in Washington, DC. 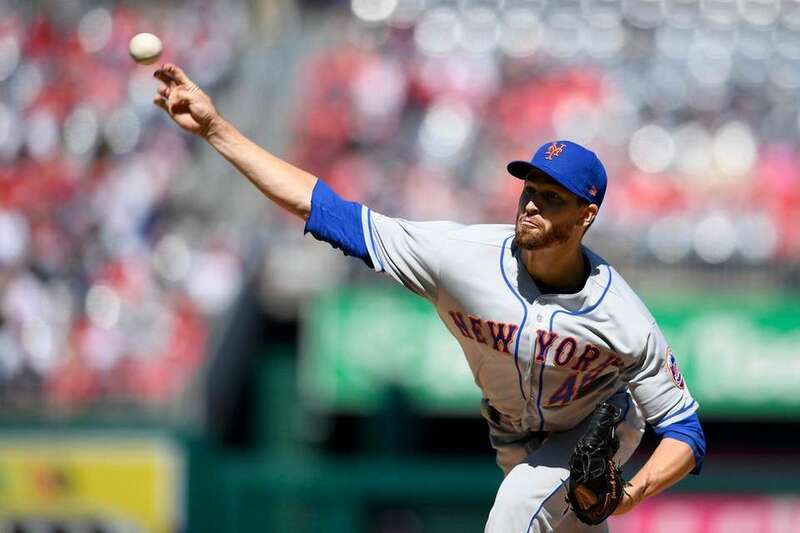 Jacob deGrom #48 of the New York Mets pitches in the fifth inning against the Washington Nationals on Opening Day at Nationals Park on March 28, 2019 in Washington, DC. 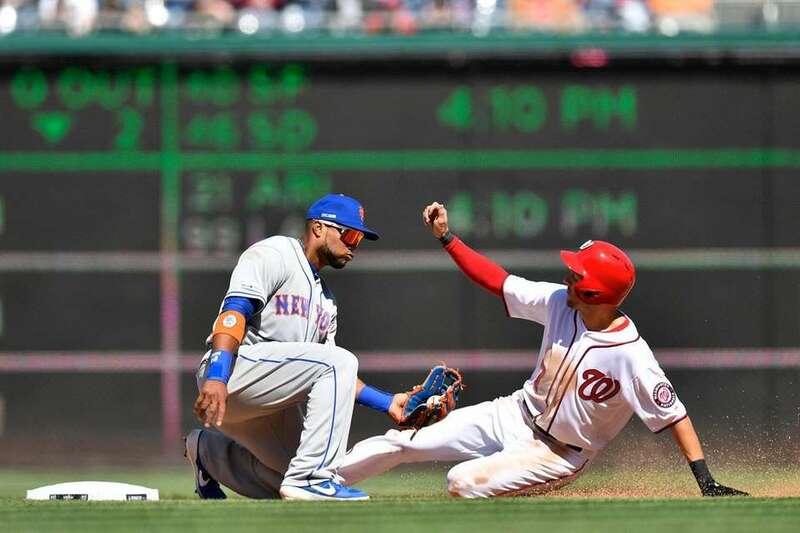 Trea Turner #7 of the Washington Nationals steals second base against Robinson Cano #24 of the New York Mets in the sixth inning on Opening Day at Nationals Park on March 28, 2019 in Washington, DC. 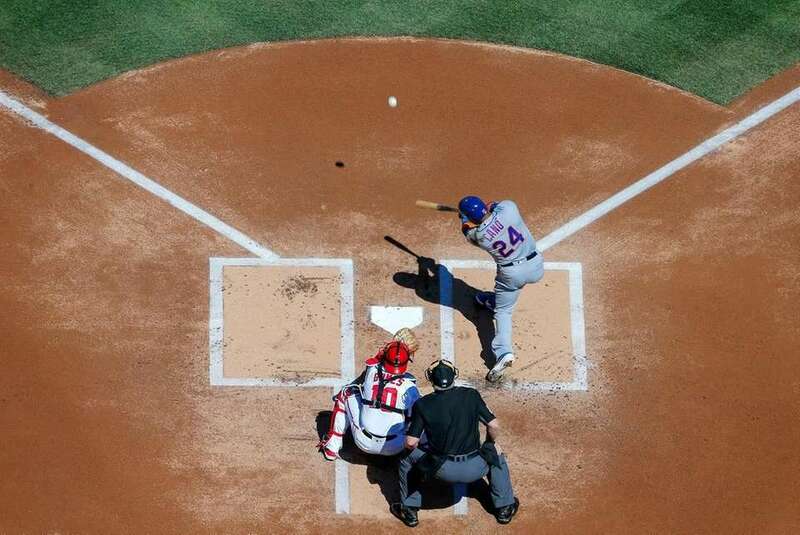 Robinson Cano #24 of the New York Mets hits an RBI single in the eighth inning against the Washington Nationals on Opening Day at Nationals Park on March 28, 2019 in Washington, DC. 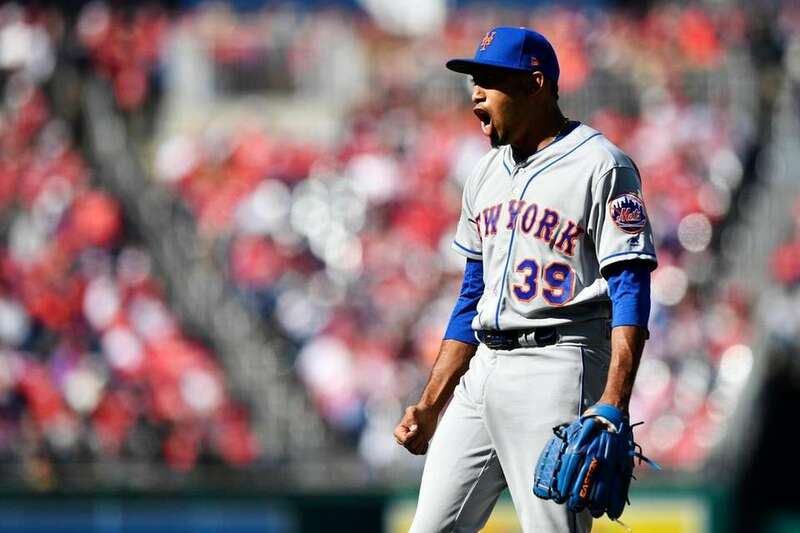 Edwin Diaz #39 of the New York Mets celebrates after the Mets defeated the Washington Nationals 2-0 on Opening Day at Nationals Park on March 28, 2019 in Washington, DC.